So, I may have 6 babies in 9 months. Ha ha. Actually, I had EWCM on Tuesday/Wednesday. I decided to use an OPK to check ovulation on Thursday and I got a negative. So, I am not really worried about it. Bummer. Sorry that your cycle was cancelled but hopefully the drs can figure out the perfect dosage so that you don't over-respond next time! 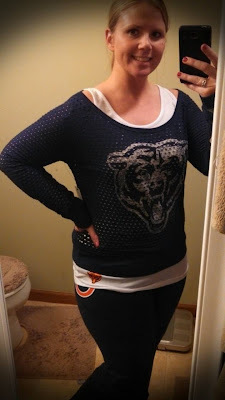 Sorry that your cycle was cancelled but maybe you'll get that BFP still :) Yay for the comfy clothes! !